*Updated 11/27/17 at 7:45 a.m. to clarify relationship of victim to Nash as stepson. NASHVILLE – An investigation by Special Agents with the Tennessee Bureau of Investigation has resulted in the arrest of a Gordonsville man, who is charged with the attempted murder of his stepson. At the request of 15th District Attorney General Tom Thompson, on November 25th, TBI Agents responded to Gordonsville to investigate a report of an officer-involved shooting. The investigation revealed that Saturday night, Smith County deputies responded to a shots-fired call on Tribble Lane in Gordonsville. Upon arrival, someone began shooting at the deputies from a wood line. Deputies returned fire, and Stacye Nash was struck. He was subsequently transported to Vanderbilt Medical Center. 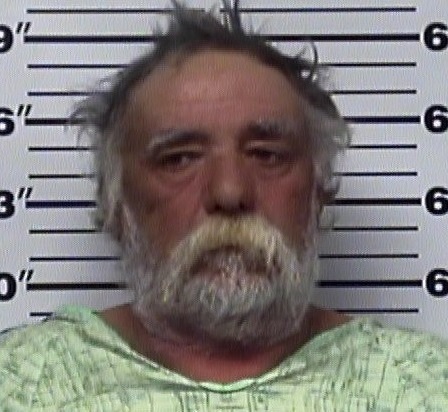 During the course of the investigation, Agents, working with law enforcement officers with the Smith County Sheriff’s Department and Gordonsville Police Department, developed information that earlier in the evening, Nash had gone to the nearby residence of his stepson, and had fired shots at him.